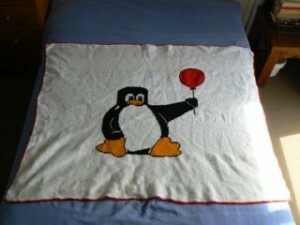 All of my brothers are quite geeky and one of them is really interested in Linux, which I understand is a sort of open-source operating system (whatever that may be). 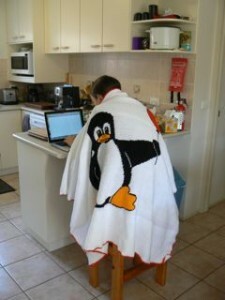 Anyway, I thought he might need a blanket to keep him warm during the long nights he spends coding (or whatever it is he does). 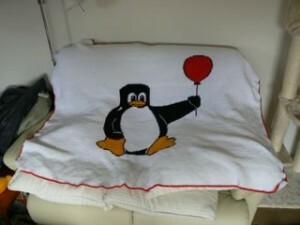 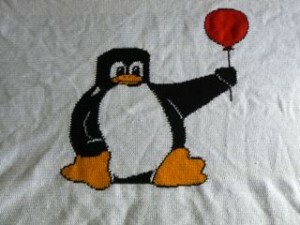 So here it is – the Linux Blanket 1.0.